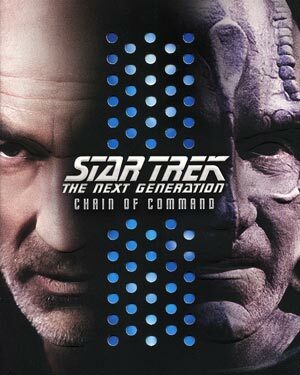 “Star Trek: The Next Generation”: Chain of Command is a solid two-part episode highlighted more by the performances and plot than the set-up which was at best forced. Still, Patrick Stewart’s acting is some of his best ever on the series and Ronny Cox’s appearance gives that storyline some weight and decent drama. Tensions rise as a possible Cardassian attack looms, and Picard (PATRICK STEWART), Dr. Crusher (GATES MCFADDEN) and Worf (MICHAEL DORN) are sent on a secret mission to find and destroy suspected biological weapons. The headstrong replacement captain, Edward Jellico (RONNY COX), is cold and demanding – to the dismay of the remaining crew. 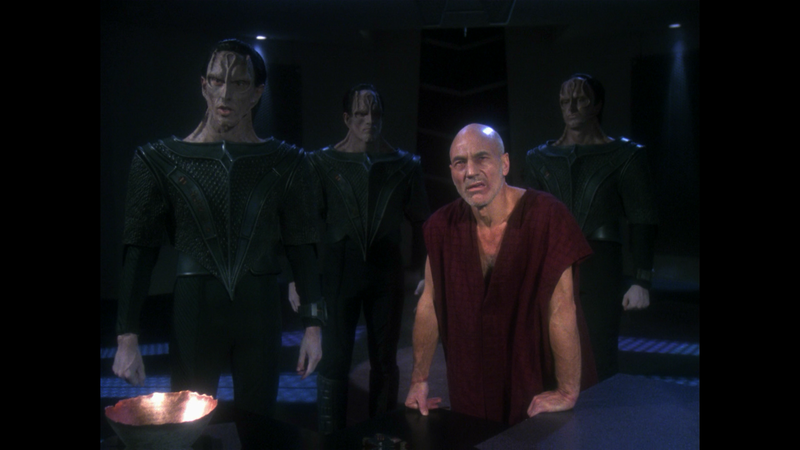 But when Picard is captured by the Cardassians and tortured for information, dismay turns to anger and resistance as Jellico’s plans exclude any type of rescue mission. 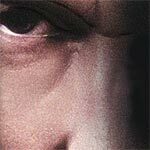 With his options running out, Picard must desperately fight to save his sanity… and ultimately his life. Considered by most as one of the best of not only the sixth season but of the entire series, ‘Chain of Command’ is a showcase episode of acting particularly by Patrick Stewart who deserved an award for some truly intense scenes opposite David Warner as Gul Madred. However, my main issue, and keeping it from perfect status, is the particulars of how Picard was captured with the Federation sending a man in his mid-50s on a Special Ops mission alongside Dr. Crusher who, from what I can tell, doesn’t have a whole heck of lot combat or mission-oriented experience. Outside of that, though, it’s still a solid 2-part episode with some solid, if not heavy-handed, drama that is a must-see for any novice since I would assume any fan would have seen this numerous times already. As with the other releases, this one comes with a slip cover where the front opens up to show an array of stills, blended together, from the episodes. Audio Commentary features Actor Ronny Cox, Cinematographer Jonathan West and “ST: TNG” regulars Mike and Denise Okuda. The track is pretty basic and low key but offers bits of trivia about the episode, acting and story. The Privilege of Rank: Making “Chain of Command” (28:35; HD) is a surprisingly extensive featurette covering many aspects of making the two-part episode and features new interviews with various cast/crew members including Patrick Stewart, Ronny Cox, Natalija Nogulich (Admiral Alynna Nechayev) and others discussing the plot and characters. Deleted Scenes (13:29; HD) are available for both parts as well as Episodic Promos. “ST: TNG” Chain of Command arrives on Blu-ray from Paramount presented in its original broadcast 1.33 full frame aspect ratio. The picture, like its season set counterpart, has near brilliant detail level, colors are often bright and even darker scenes, such as during Picard’s capture/interrogation scenes, show some nice starkness with minimal noise. The 7.1 DTS-HD Master Audio track offers some good depth but most of all, clear and crisp dialogue, from the center channel, and the action scenes come through each speaker (front and back) evenly. It’s an excellent lossless track that, as with the video transfer, matches the season set. 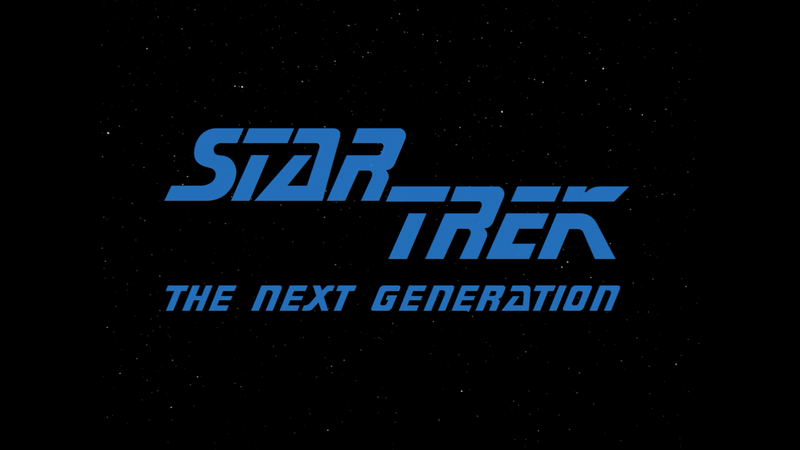 Overall, “Star Trek: The Next Generation”: Chain of Command is a solid two-part episode highlighted more by the performances and plot than the set-up which was at best forced. 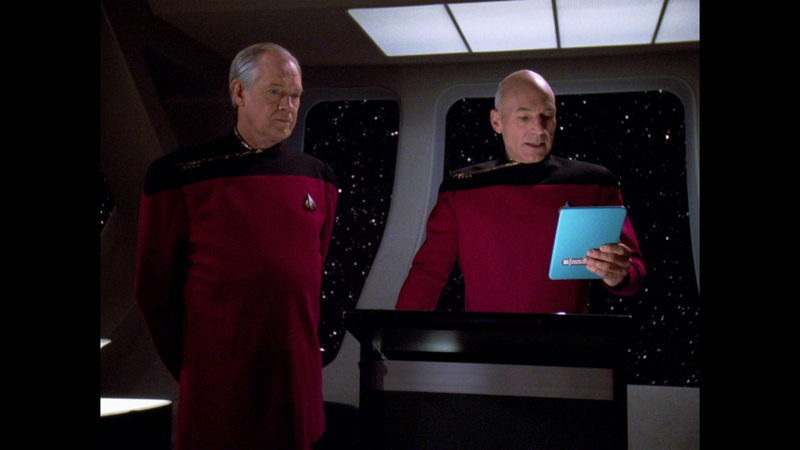 Still, Patrick Stewart’s acting is some of his best ever on the series and Ronny Cox’s appearance gives that storyline some weight and decent drama. The Blu-ray released by Paramount has good video/audio transfers and a fine set of features to make the purchase worthwhile.